Have you experienced the stomach churning feeling associated with bullying? 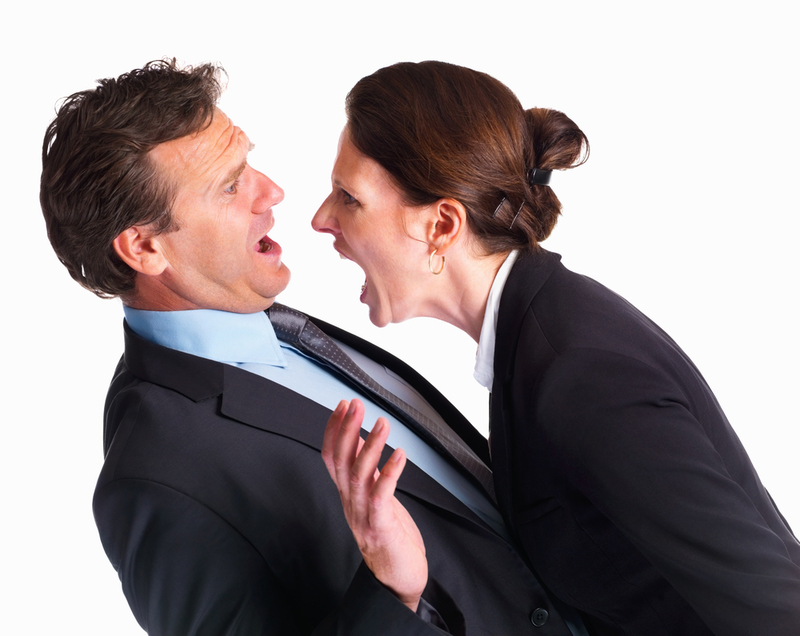 Are you an employer concerned with how to deal with bullying in the workplace? I recently gave a talk to an anti bullying group in Mullingar, the Midlands Anti Bullying Network. Below are the slides from that talk. Are you being bullied at work? Perhaps you have a family member, friend or colleague who has complained of being bullied? Many people, unfortunately, are bullied at work. Thankfully, you don’t have to suffer in silence. There are solutions. In 2014, for example, there was an important High Court case-Una Ruffley and the Board of Management of St. Anne’s School-which saw Ruffley, a special needs assistant in a primary school in Kildare being awarded €255,000 . Note: this High Court decision was overturned on appeal. Read about that decision here. The case is a useful one to take a look at because it restates certain principles and proofs required to win a case for a personal injury arising from alleged bullying in the workplace. Quite frankly it is not simply enough to show that you have been bullied. You must also prove you suffered a personal injury as a result. The background to the case was after an incident involving the locking of the door of the school’s “sensory room”, the school Principal, Pauline Dempsey, brought the SNA to a meeting and warned her of disciplinary action. However she later wrote to the SNA advising her that no action would be taken. However, there was to be a three month review of the SNA’s performance. The review of the SNAs work involved the filling in of a form which led to a difficulty with the Principal accusing the SNA of a “falsification” of the review form. The Principal then brought the original incident involving the locked door and the performance of the SNA to the Board of Management. The Board recommended that the SNA receive a formal warning and that her next salary increment be deferred. The Judge in the High Court doubted that the Principal had outlined the full facts surrounding the difficulty to the Board. The Principal then gave the SNA a letter stating that an investigation had been carried out and if there was a further breach of school policy there could be further action including dismissal. The High Court held that there was no such investigation and that the SNA had been subjected to a disciplinary sanction that was severe and unmerited. “Workplace Bullying is repeated inappropriate behaviour, direct or indirect, whether verbal, physical or otherwise, conducted by one or more persons against another or others, at the place of work and/or in the course of employment, which could reasonably be regarded as undermining the individual’s right to dignity at work. An isolated incident of the behaviour described in this definition may be an affront to dignity at work but, as a once off incident, is not considered to be bullying. The manner in which the disciplinary process with regard to the locking of the Sensory Room door was handled by Ms. Dempsey was grossly unfair to the plaintiff and utterly denied her the benefit of her constitutional right to natural justice and fair procedures. The need to prove that you have suffered an identifiable psychiatric injury is a critical proof to win your case for non physical personal injuries. “Prior to 2009, the plaintiff had two previous episodes of Depression, one of which was a postpartum Depression and the other a reaction to bereavements. She required anti-depressive medication for these but she recovered fully on both occasions. However, and the evidence of Dr. Byrne, a psychiatrist called for the plaintiff, satisfies me in this respect, having suffered previous episodes of Depression, she was predisposed to further depressive illness. I am satisfied on the evidence of Dr. Michael McDonnell, her GP, and Dr. Byrne that the plaintiff suffered an Anxiety and Depressive Disorder resulting from her reaction to what had happened to her in St. Anne’s School from September 2009 through to September 2010. This resulted in a high state of anxiety, low mood, loss of confidence and self-esteem and an inability to cope with everyday life. All of this rendered her incapable of returning to work in the defendants’ school, and all of that, allied to her fear that she would not have a good reference, inhibited her from seeking employment elsewhere. As a result, she has not worked since 27th September 2010. She has been on anti-anxiety and anti-depression medication since late 2010, and she attended the Kildare Mental Health Services in Newbridge on a regular basis where she was prescribed anti-Depression medication. Her situation has not improved over the intervening period. An examination of her by Dr. McDonnell in February 2014, included the completion of two questionnaires, namely, the General Anxiety Disorder Assessment and the Patient Health Questionnaire, the results of which indicated she was suffering from a severe anxiety state and severe Depression. I think it probable that the impending litigation was, at that stage, worsening her symptoms, but that notwithstanding, there can be no doubt that she has, since late 2010, suffered from a significant anxiety and depressive disorder and that continues to afflict her. “I am satisfied that the plaintiff has suffered a definite and identifiable psychiatric injury from which she still continues to suffer significantly and will continue to do so for some time into the future. Therefore, she must be compensated for her pain and suffering in that regard to date and into the future. In my opinion, the appropriate sum to compensate the plaintiff for her psychiatric injury to date is the sum of €75,000. Insofar as the future is concerned, as already mentioned, the probability is that she will improve and go on to recover over time, particularly when this litigation is finalised. With that in mind, in my opinion, the appropriate sum to compensate her for her psychiatric injury for the future is the sum of €40,000, making a total for general damages of €115,000. The plaintiff’s loss of earnings up to 6th March 2014 was agreed in the sum of €93,276.39. There was some suggestion that there may have been some deductible benefits which would reduce that figure, but the court was not told if that was so or what the amount thereof should be. That being so, I must proceed on the basis that there are no deductible social welfare benefits. In my view, the plaintiff is entitled to recover the foregoing sum, and as it is clear she will probably not be able to return to gainful employment for some time yet, is entitled to recover damages in respect of future loss of earnings. I think it probable that with appropriate treatment, she will be fit for such employment in the relatively near future, and accordingly, I would award her half the foregoing sum again in respect of future loss of earnings, namely, €47,000, making a total of €140,276 in respect of loss of earnings past and future. You can read the full decision of this case here. Note: this decision was later overturned by the Court of Appeal. 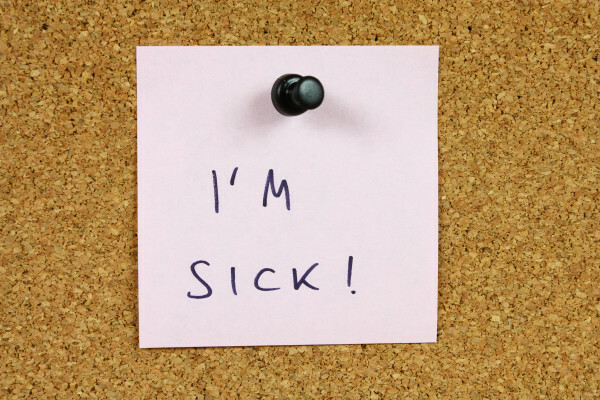 Have you a member of staff absent from work due to illness? Do you worry about how to properly manage employees’ absence? Are you concerned that you’re not sure how to manage sickness related absence? Many of my clients were in the same boat. But they’re not worried anymore. Do you want to know what they’ve done to get some peace of mind in this area? And to do the same? A sick leave absence management policy and procedure is a bit of a mouthful, isn’t it? Basically, you want to have a policy in place which sets out clearly what procedure is to be adopted when an employee is absent through illness. This allows you and employees know what exactly is going to happen, and the procedure to be followed. It’s fair because it will apply to all employees. And it provides much appreciated clarity for everyone. that the employee can be required to attend a doctor nominated by the employer for medical assessment. Medical certs-when, and how frequently, are they required? You can decide how soon you require a medical certificate from an employee. What follows is not set in stone, and you can adapt it to suit your circumstances. But, if you do follow these steps, or similar ones, you won’t go too far wrong. So, on the 1st day of illness, the employee should be required to notify his line manager as soon as possible before scheduled commencement of duty. He should also be expected to report the general nature of the illness and expected return to work date. On the 3rd working day, he must forward a medical cert. to you. You can choose whether it is the 3rd working day or 4th working day when the cert is required-it’s your decision-but make it clear in your policy document, and ensure that all employees have received a copy of your sick leave absence management policy. The duration of the medical certs. should also be specified, with weekly certs being submitted initially. Requiring weekly medical certs for short term absence and accepting monthly certs for long term absences is widespread, and sensible, practice. It is helpful, also, to define in your policy what is short term absence, what’s long term, and what is unauthorised absence. Generally, short term absence would be 4 weeks or less, while long term absence would be an absence of more than 4 weeks. Unauthorised absence is an absence which is not supported by a doctor’s note/cert, or not authorised by management, or not communicated using the correct procedure. Unauthorised absences would be addressed through your workplace disciplinary procedure. You do have one, don’t you? Regular contact should be maintained with the employee to ascertain how he is, and the likely return to work date. This is also useful to maintain the employee’s’ connection to the workplace, but should be on a needs basis-for example to ensure the medical certs are being submitted- and not too intrusive or pushy. When the absence is for 3 or 4 months, it may be time to take a closer look at the absence, and the likelihood of a return to work at all. An appointment with the company doctor or occupational physician may be arranged at this stage, at the expense of the employer. It may be time to invite the employee in for a chat, and a discussion including letting the employee know that his employment is under review due to the absence and the question of capacity to do the job will have to be addressed. She should be able to give an assessment of the likelihood of a return to work, when, and whether there is anything you, as an employer, should be doing to facilitate a return to work. The doctor or occupational physician may suggest a phased or temporary return to work. This can be monitored and re-assessed after 4-6 weeks. Before any decision is made, though, about termination of the contract on the grounds of capability, the employee should be invited to make a submission to influence the decision, and fair procedures must be followed. The medical report should support a decision to terminate by indicating that there is no reasonable prospect of a return to work within a reasonable timeframe. Do remember, though, that the decision to terminate the employment is yours to make, and you cannot hide behind the medical assessment and blame the doctor or try to pin the responsibility on him. Hopefully, there will be no need to terminate and the employee can return to work. try to facilitate a partial return to work where the employee requests it. In any event, you should interview all employees, regardless of how long they have been out or their illness, prior to their return to work. Your sickness absence management policy needs to make clear that an employee can be requested to attend your doctor or medical advisor for medical examination and that you, as employer, are entitled to receive details of such medical assessments. advise you about areas of support for health related problems which may be affecting employment. Stop worrying unduly about employees being out sick. Get a policy drawn up to manage absences, enforce it consistently and fairly, and make sure all employees have been given a copy. You will reduce your stress, increase your peace of mind, and significantly diminish employment related claims-for stress and unfair dismissal- against you. I regularly meet employees who complain of being stressed. And who want to make a claim against their employer as a result. But it’s not quite that straightforward. Because of the difference between occupational stress and workplace stress. Workplace stress is actionable. Occupational stress isn’t. A March, 2014 judgment in the High Court in the case Glynn v Minister for Justice Equality and Law Reform (2014 IEHC 135) is well worth looking at because it deals with workplace stress, bullying, and personal injury claims in the workplace. The claimant was a civil servant and worked in Gort Garda station in Co. Galway. Her claim was that she suffered stress as a result of pressure placed on her in 2005 to complete monthly accounts for the Garda station. Prior to this incident there were other incidents-not getting on with a Garda who she felt was constantly checking on her-going back to 1996 and she had taken sick leave in November of that year. She returned on a 3 day week in 1997.In 2004 she was promoted to the position of Finance Officer. In May, 2005 she worked on the accounts for 4 days during which she suffered considerable stress. She then raised with Garda Headquarters her concerns about a cheque for expenses in favour of the Superintendent. She claimed the Superintendent told her he would take her job from her if she didn’t do what he told her. She then went on sick leave for 6 months and returned when the Superintendent had retired from the station. In cross-examination the claimant admitted that she had suffered from depression prior to the incidents complained of. She also had failed to contact the Employment Assistance Services of the Department of Justice in 1996 re her bullying allegation. The defence case was that there was no bullying and the Superintendent had no issues with her, nor was there a problem with the expenses cheque. 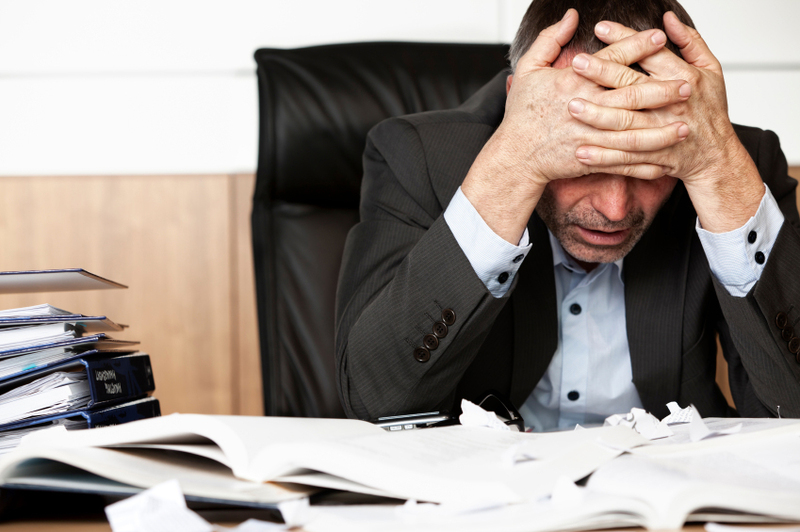 The Court noted that workplace stress can be actionable if certain criteria are met. However it is different from bullying insofar as it lacks the degree of deliberateness associated with bullying. “Workplace stress can also be the result of negligence where excessive demands are made of an employee or where complaints about shortcomings in the workplace go unheeded. It lacks however that degree of deliberateness which is the hallmark of bullying”. The Court noted that this definition required an objective test to decide whether bullying had occurred. The Court referred to Quigley v Complex Tooling and Moulding Ltd  1 I.R. 349 and the acceptance by the Supreme Court in that case of the definition of bullying or harassment at work as set out in S.I. No. 17 of 2002 above. Justice Kearns observed that the relevant legal principles for workplace stress were laid down in Berber v Dunnes Stores  E.L.R. 61 (which accepted the practical propostions set out in the 2002 case Hatton V Sutherland  2 All E.R.1). 1. The ordinary principles of employer’s liability apply. 2. The threshold question is whether the kind of harm to the particular employee was reasonably foreseeable: this has two components (a) an injury to health (as distinct from occupational stress) which (b) is attributable to stress at work (as distinct from other factors). 3. Foreseeability depends upon what the employer knows (or ought reasonably to know) about the individual employee. Because of the nature of mental disorder it is harder to foresee than physical injury, but may be easier to foresee in a known individual than in the population at large. An employer is usually entitled to assume that the employee can withstand the normal pressures of the job unless he knows of some particular problem or vulnerability. 4. The employer is generally entitled to take what he is told by his employee (including what he is told by the employee’s medical adviser) at face value unless there is good reason to think to the contrary. 5. The indications of impending harm to health arising from stress at work must be plain enough for any reasonable employer to realise that he should do something about it. 6. The employer is only in breach of duty if he has failed to take the steps which are reasonable in the circumstances, bearing in mind the magnitude of the risk of harm occurring, the gravity of the harm which may occur, the cost and practicability of preventing it, and the justifications for running the risk. 7. An employer can only reasonably be expected to take steps which are likely to do some good: the court is likely to need expert evidence on this. 8. If the only reasonable and effective steps would have been to dismiss or demote the employee the employer will not be in breach of duty in allowing a willing employee to continue in the job. 9. In all cases it is necessary to identify the steps which the employer both could and should have taken before finding him in breach of his duty of care. 2. the working conditions she had to work in in 1996 (in a portacabin/temporary accommodation). The Court also observed that there was no acceptable explanation by the plaintiff as to why she did not disclose a prior history of depression and accepted that the Superintendent’s evidence was reliable and credible. 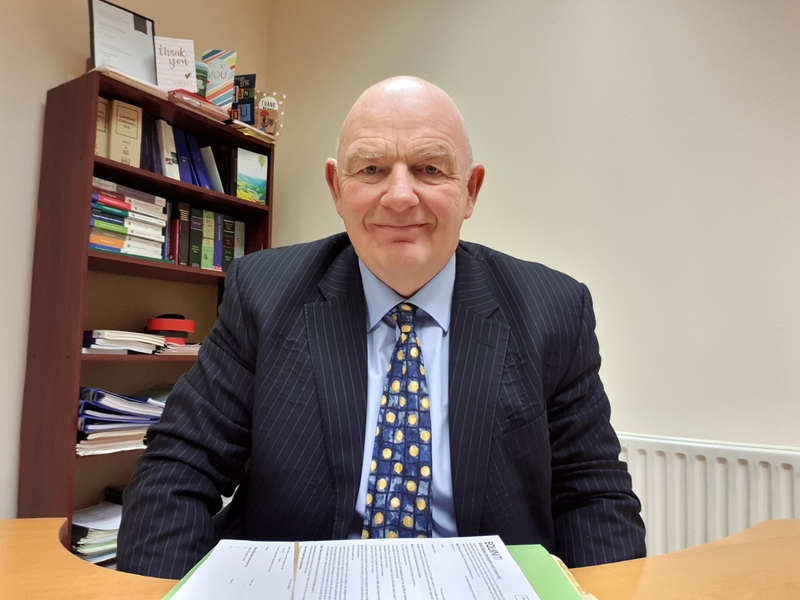 Justice Kearns stated that he could not see that anything in the behaviour of the Garda colleague or Superintendent constituted bullying or harassment. “the events upon which the plaintiff relies to mount her claim turn on the events of a few short days in May, 2005 a time span more identifiable with a once-off or single incident rather than the kind of ‘repetitive’ and ‘inappropriate’ conduct which constitutes the wrong of workplace bullying or harassment“. The court concluded that the plaintiff had not made a case for bullying or workplace stress causing or contributing to foreseeable injury or damage. She had no complaints of workplace stress for the eight years between 1997 and 2005. “Even if mistaken on these issues I would also be of the view that the plaintiff failed to demonstrate that her stress was attributable to the matters she complained of in this case. She had a prior history of stress and depression which was not disclosed until it was uncovered through the discovery process. I believe any subsequent stresses suffered by the plaintiff were attributable both to life events (including the tragic death of her nephew and the death of her father) and, in 2005, to occupational stress only”. You can read the full High Court decision here. It’s easy to get health and safety wrong, isn’t it? Especially if you are an employer. The employer’s duties for work safety in the workplace are very stringent and the primary source of these work safety obligations are contained in Safety Health &Welfare at Work Act 2005. General duties of employers to people other than their employees. • Imposes a general duty of care upon all employers to ensure the health and safety of all employees. • This extends to ensuring: safe systems of work, preventing improper behaviour amongst fellow employees. • In addition the employer’s duties include taking steps to prevent risk from all articles, substances, noise, vibration and radiation. 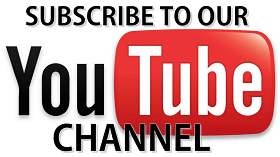 • Equipment must additionally be maintained in full working order. • In complying with health and safety legislation no employee must incur personal expense. • In recognising the evolving multi-cultural profile of the Irish work force, this section specifies that all health and safety notices must be displayed in a manner and language as is suitable to the requirements of the resident workforce. • Training and instruction where provided must be in a manner which is suitable to the requirements of those at issue and without financial penalty incurring to the individuals concerned. • Such training should be provided where appropriate upon recruitment, where a change of task is required and in instances where new work systems are put in place. • All employers have a duty, to those other than employees, to ensure that that they are not exposed to risk. • In accordance with the provisions of this section, employees are required to take all reasonable steps to ensure their own health and safety as regards both acts and omissions in the course of their duties. • This extends to ensuring that they are not intoxicated whilst at work and to submit to an examination by a registered practitioner when this is suspected. • Additionally there is an expectation that employees should make use of safety equipment when provided. • Employees should also report any deviations from work practice, defects in equipment or machinery and refrain from misrepresenting the degree of training in the safe work systems previously gained. • Employers shall identify all relevant hazards and accordingly draw up and be in possession of a risk assessment profile. • This should be subsequently reviewed in circumstances whereby there has been significant change to provisions or where there is alternate reason to believe that the risk assessment is no longer valid. • A safety statement should be in the possession of the employer. This statement should identify all hazards, assess the associated risks and identify the safety equipment to be provided. • A contingency plan must be drafted to be deployed in the event of an emergency including the duties of specified individuals. • Places an onus on the employee to report either directly to their employer or to a specified medical practitioner the onset of any illness which may materially affect the performance of their duties eg heavy machinery operator diagnosed with epilepsy. • Employees may from time to time select from amongst their co-workers a delegate to act as a safety representative, more that one may be selected with the consent of the relevant employer. • This individual may thereafter: inspect the work place, investigate accidents, and with notice to the employer investigate complaints from co-workers. • As of right this individual is entitled, without loss of remuneration, to take a leave of absence to receive training pursuant to their duties or to discharge existing functions. • An employer may not penalise, that is suspend, demote, reprimand etc for acting in compliance with statute, making a complaint based on health and safety non compliance or giving evidence in proceedings. • Under the provisions of the Act, inspectors may be appointed to oversee compliance. Such inspectors will be furnished with a certificate of inspection as suitable form of identification. • Inspectors so appointed will be endowed with the power to enter any workplace any time to inquire as to statutory compliance with the 2005 Act. • This power is manifested in an ability to demand access to relevant records and where necessary take original copies. • In circumstances where the inspector deems it appropriate, an improvement notice may be served. • This notice will state the failure of compliance at issue, state the relevant statutory provision that this fails to adhere to, direct the individual to remedy this situation. • Once the matters referred to have been remedied, the employer shall alert the inspector who shall on being satisfied issue a certificate of compliance. • Where an inspector is of the opinion that at any place of work there is occurring or is likely to occur any activity which involves or is likely to involve a risk of serious personal injury to any person, the inspector may serve a written notice (in this Act referred to as a “prohibition notice”) on the person who has or who may reasonably be presumed to have control over the activity concerned. • Where a prohibition notice has been served under section 67 and activities are carried on in contravention of the notice, the High Court may, on the application of an inspector, by order prohibit the continuance of the activities. (b) display the notice or a copy of the notice in a prominent place at or near any place of work, article or substance affected by the notice. It is clear from the above that the employer’s duties to provide work safety in the workplace are pretty demanding. Criminal penalties can be imposed for serious breaches and this has occurred in the Irish courts. Any employer not taking his duties to provide work safety in the workplace for his employees is taking an unjustifiable risk, both for himself and his employees.